The IOTA 24 Volt DLS-27-25 Power Converter/Battery Charger from IOTA Engineering converts nominal 108-132 AC voltage to 27.2 DC voltage for both DC load operation and 24v battery charging. 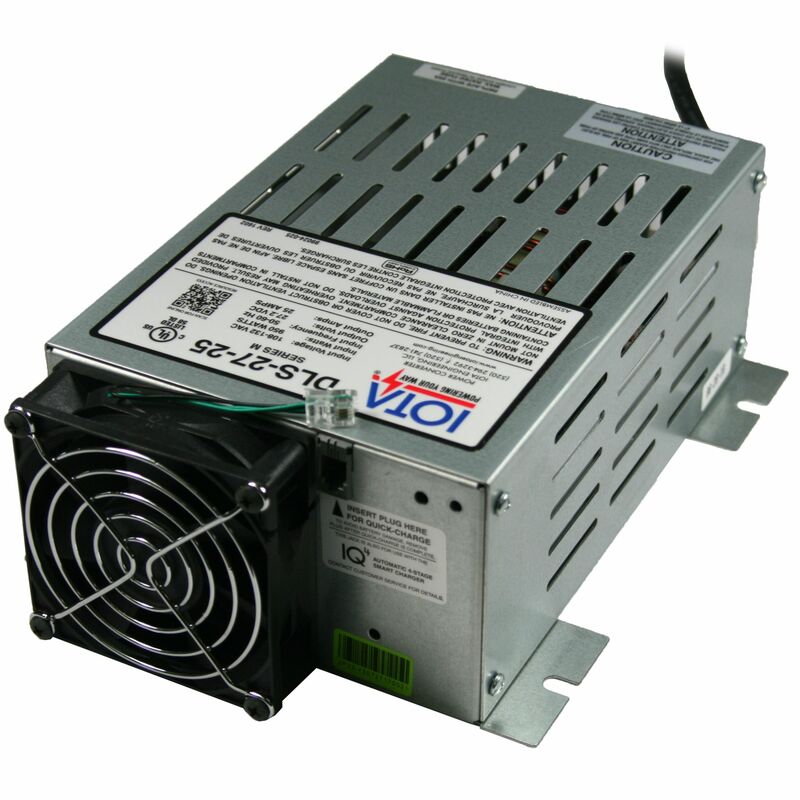 As a power supply, the unit's tightly controlled regulation allows the user to operate a nominal 24VDC load up to 25 amps. The unit comes with a Dual Voltage Jack and when installed the DLS-27-25 acts like a bulk battery charger delivering 28.4v and its full-rated current until the Dual Voltage Jack is removed. Please note this is not a smart charging mode and needs to be carefully monitored to prevent battery damage. The Dual Voltage Jack Port supports optional IQ4-Smart Controllers to make the DLS-27-25 capable of smart charging various battery types such as Flooded, AGM, Gel, and Lithium Iron Batteries. IOTA offers a few additional IQ4-Smart Controllers available to optimize charging methods such as Parallel Charging, Extended 40-HR Bulk Charging (for Large Battery Banks), Turbo-Charging for a faster charge cycle, and Equalization Charging. 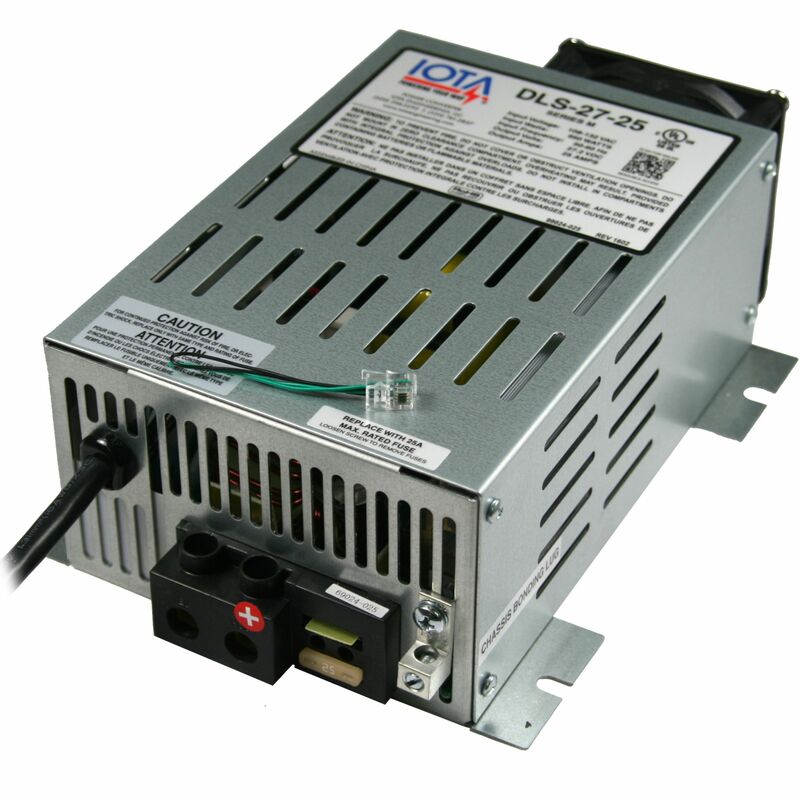 The Iota Converter/Charger is a 24v Power-Supply or bulk 24v charger charging at 28.4 Volts. The unit is not a smart charger unless purchased with an optional IQ-4 Smart Controller. Do you own the DLS-27-25? Please, tell us what you think about it. It helps us provide you with better products. Please note that it may take up to 72 hours for your review to appear.